We had a fun evening at the local coffee shop. I had the table set-up for my friends. Everyone got a new Holiday Catalog and space to make a card. Plus we had great coffee and snacks! 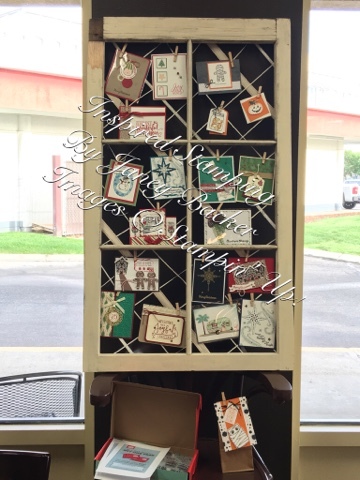 The cute window frame displays many holiday card and gift designs from my team swaps and classes. This is the cute make and take card using the Wonderful Year stamp set. Each guest made this card to add to their collection. It was a relaxing evening looking at all the fun new products and projects. 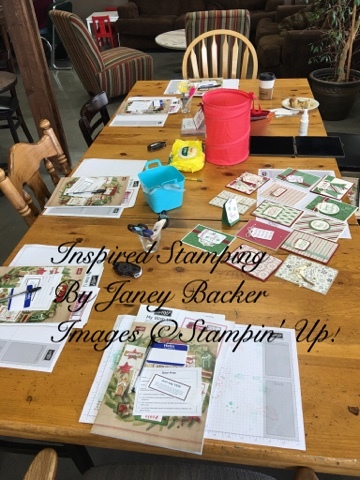 This is definitely a great catalog and everyone is loving the potential creativity for gifts, projects, home decor, treat bags and boxes, and of course cards, lots of gorgeous card ideas. Please contact me if you didn't make it to this evening event to visit with me and get your catalog. You can also view the catalog online HERE. 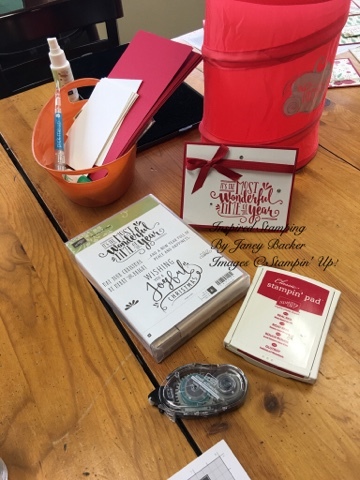 I would love to share the display with you or have you over to make a quick card. There are more classes coming up and lots of fun creativity to be had. I hope you will join me soon, thank you for stopping by my blog!